Comment: Post constuction...we need to move some soil around and either seed or i stall sod...depending on cost. Comment: 1. Smash/remove, and fill-in old septic tank, level yard and install grass (approximately 25 x 25 feet) 2. Remove small deck and small tree (10 feet tall) 3. Add concrete steps from back door 4. Repair concrete step on front steps. Comment: New home/ yard with water drainage problem. Comment: I need a quote to have a 2'D x 2'W trench dug on our property along the border line. I'm planning on doing some planting there. Newport Landscaping Companies are rated 4.84 out of 5 based on 109 reviews of 10 pros. 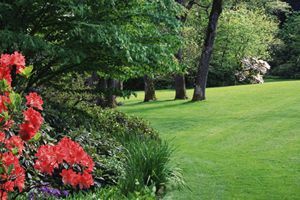 Not Looking for Landscaping Contractors in Newport, RI?